You can book tickets for all Solomon Airlines destinations including flights to and from Fiji, Brisbane, Papua New Guinea and Vanuatu via our easy to use online booking service. 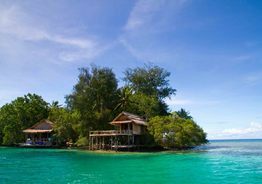 Learn more about accommodation options in the Solomon Islands, group bookings, our cargo services or our special fare offers. Book your travel today and take off to another world. There are nine provinces in the Solomon Islands and so much to experience.